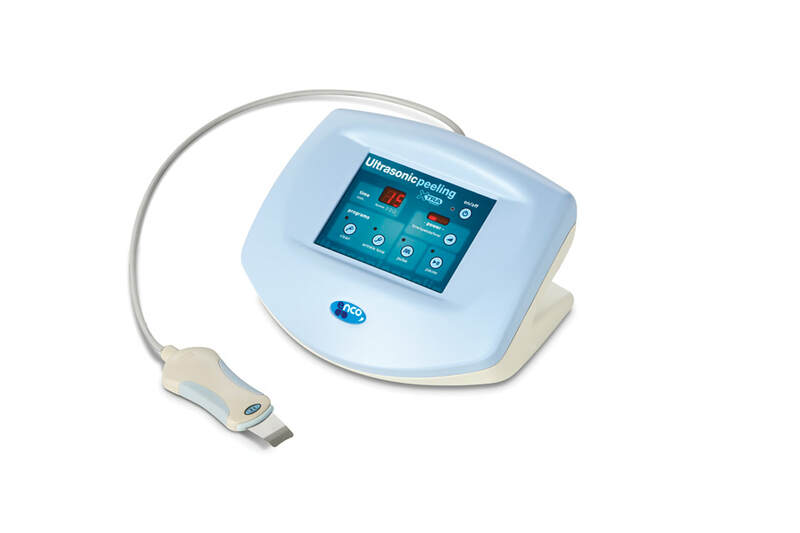 Dermajet Pro uses Endomassage® Ultrasonic therapy that works the vacuum technique simultaneously to the application of ultrasonic energy in order to reach the hypodermis level, while performing a massage from the inside to the outside. The Endomassage releases all the vessels below the tissue that is being treated. ​It also increases the lymph blood flow, which contributes to a draining effect and an important increase of nutrients. ​Features: New conception of programs that are much more interactive in the equipment, regulating power, frequency, periods etc. Its two techniques can be used simultaneously or independently. Three head pieces for different treatments. Hygiene and skin regeneration skin through ultrasonic micro-vibrations. 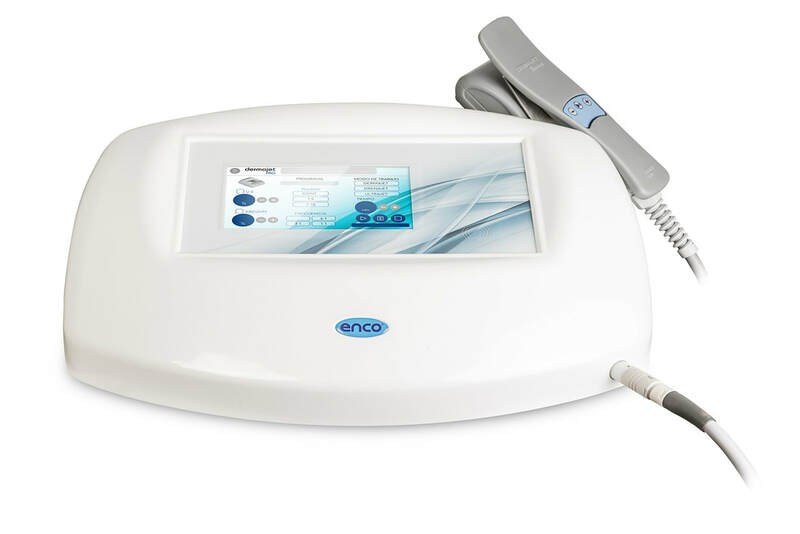 Ultrasonic Peeling removes the superficial layers of the skin producing a deep cleaning of the pore and an improvement of the appearance of the spots. Peeling Ultrasonic is presented as a technique to be included in facial and body beauty treatments, which aim for deep hygiene, peeling or rejuvenation of the skin. Exfoliate, moisturize and clean without eroding the skin, effectively and quickly. It stimulates the renewal of the skin tissue as it removes the superficial layers of the skin. Provides a rejuvenated and luminous appearance from the first session. The technique of Peeling Ultrasonic XTRA is not aggressive or invasive, it has no side effects to the skin. Also: it naturally peels the skin, deeply cleans the pore, rejuvenates the dermis, improves penetration of cosmetics and reduces the color of skin spots. Power: 230-110 V / 50-60 Hz. 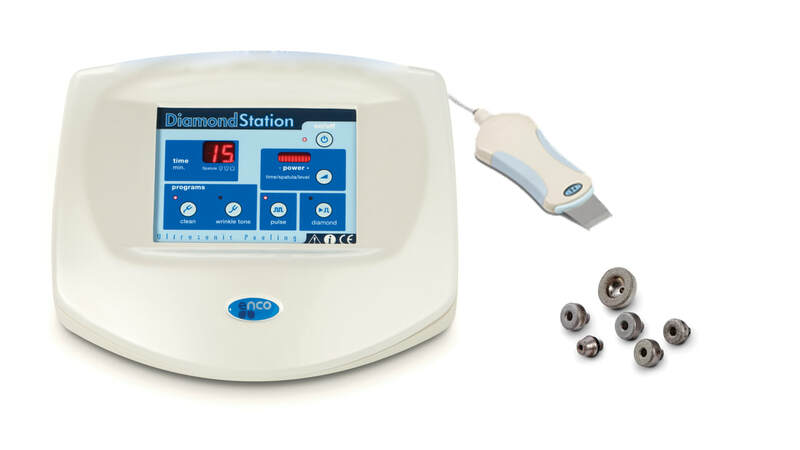 ​Equipment with diamond tips for dermabrasion + ultrasonic peeling with ultrasonic micro vibrations for cleaning, skin regeneration, anti-stain and antiwrinkle. 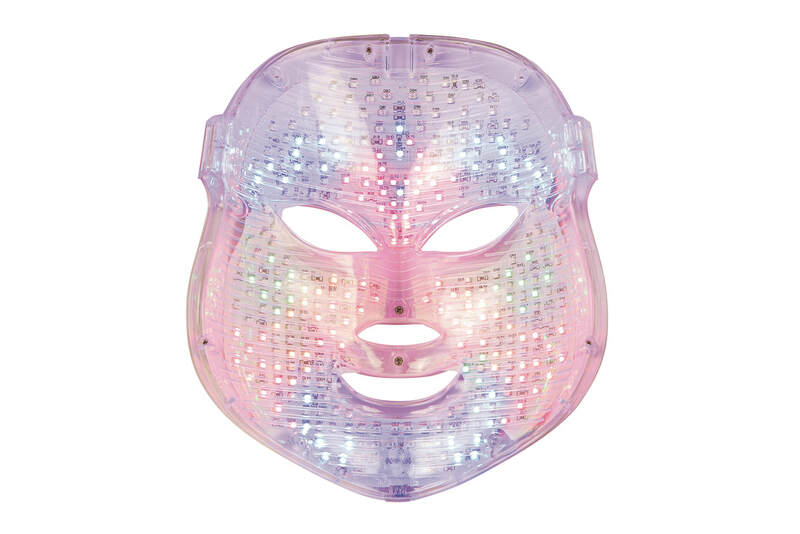 ​Contains 1 spatula for facial and body treatments + 6 rounded Diamond tips. 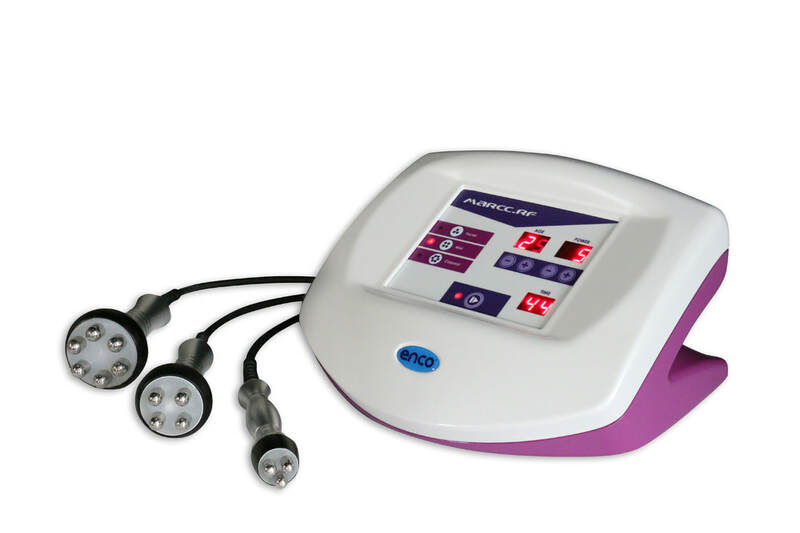 RESISTIVE RADIOFREQUENCY (DIRECT) WITH COLLAGEN LIGHT. ​Synergy. Profound rejuvenation into deeper layers of the skin affected by the process of aging. 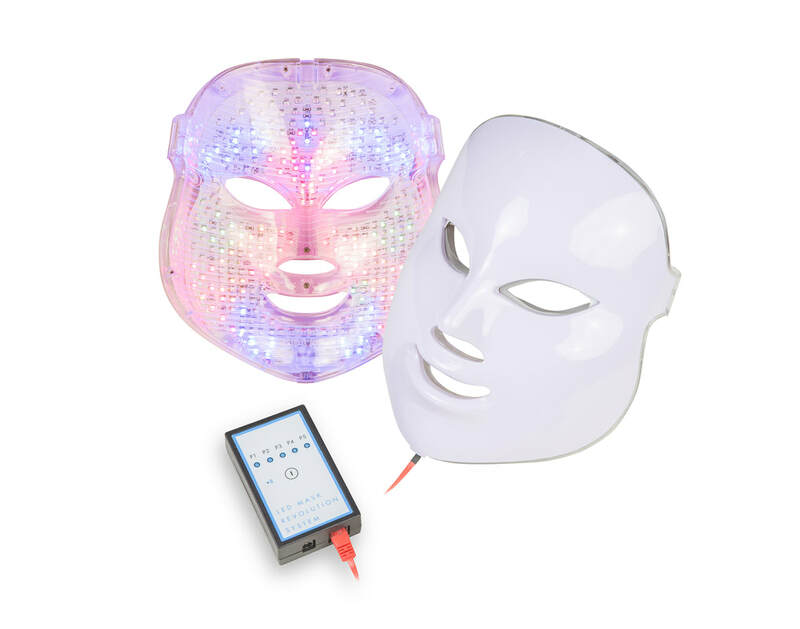 Led mask device for photodynamic therapy and bio stimulation treatment. It can be used as a treatment by itself or together with other procedures. SECURITY, EFFICIENCY, RENTABILITY AND EASY TO USE. Power source: In: 110 - 240v~ <0,6 A | Out: 12v DC 2A. Battery: 12v 1.500 m Ah.